As the British and French divided up the Middle East following the collapse of the Ottoman Empire, the young Lieutenant Colonel, T.E. Lawrence wrote a warning to the British Foreign Office. He was quite concerned about what was happening and saw the dangers to the region inherent in the British and French division of it. Lawrence understood the religious and ethnic divisions of the region and saw the lack of wisdom in how both the British and French policies, which in order to prop up their gains used those divisions to establish ruling elites in Syria and Iraq, in each case pitting Sunni against Shia, Christian against Moslem and Kurd against Arab. 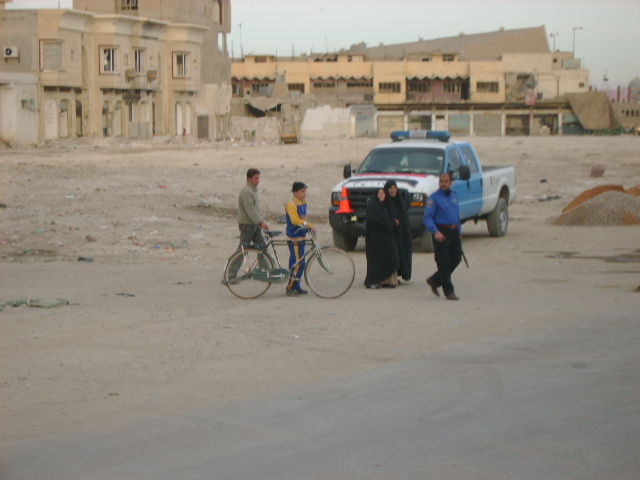 In spite of the efforts of the Europeans and later the Americans to prop up strongmen in the region, or in the case of Saddam Hussein, destroy his regime opening a Pandora’s Box of chaos that was only contained by a massive amount of U.S. Military power and an alliance with Iraqi Sunni tribesmen and their sheikhs during the “Anbar Awakening.” The Sunnis expected after they had helped the U.S. and the Iraqi Shia led Central Government to destroy the forces of Al Qaida Iraq, to be brought back into the government and given a reasonable amount of autonomy. Instead, when the U.S. departed in 2011 at the behest of the Shia government those Sunnis became persecuted and alienated. Now many of them are actively aiding, supporting or acquiescing to the forces of the Islamic State of Iraq and the Levant (ISIL) which also known by the name Islamic State of Iraq and the Shaams (ISIS). We forget the lesson that Lawrence learned about the Arabs who fought against the Turks in the First World War: “The Arabs rebelled against the Turks during the war not because the Turk Government was notably bad, but because they wanted independence. They did not risk their lives in battle to change masters, to become British subjects or French citizens, but to win a show of their own.” The Iraqi Sunni who allied themselves with the U.S. military in Anabar in 2007 did so for the same reason, they wanted independence. The American administration of Iraq was even more disastrous than that of the British following the First World War. Lawrence wrote of that occupation in words that could have well described the American efforts in 2003-2006. The ISIL or ISIS fighters are strict Islamists and have been issuing decrees in Mosul regarding what citizens can and can’t do. Women are ordered to be completely veiled and covered if they go outside, which they are told that they should not do. People are being ordered to go to Mosques 5 times a day, sheikhs are being ordered not to cooperate with the government and the only people allowed to be armed are the militants. 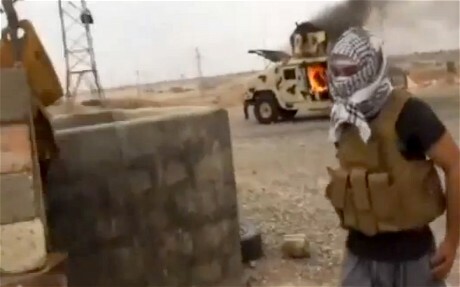 There are videos of ISIL fighters executing captured government officials. Many of the Sunni Iraqi Nationalists, professional military officers who returned to the Army following the disastrous performance of it prior to 2007 also expected better treatment for their service. They too were not rewarded and it is possible that the collapse of Iraqi security forces could be in part due to the fact that these men hold grievances against the Baghdad regime of Maliki, which many view as a puppet to Iran, or as they call it “Persia.” Maliki claims that there was a conspiracy in the wholesale collapse of Iraqi forces in the north, and he may be right, but it is a problem that he created and made worse by his divisive policies and politics. What happens next I do not know. 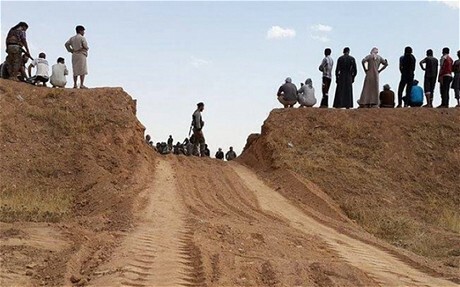 The ISIL forces have stated that: “Our final destination will be Baghdad; the decisive battle will be there…” I do not know if they have the ability to take and hold it, but they should be able to maintain their gains in Mosul and Tikrit. They have captured large numbers of armored HUMMVs as well as Iraqi military helicopters, including U.S. supplied UH-60 Blackhawk and MH-58 Kiowa at the Mosul airbase. 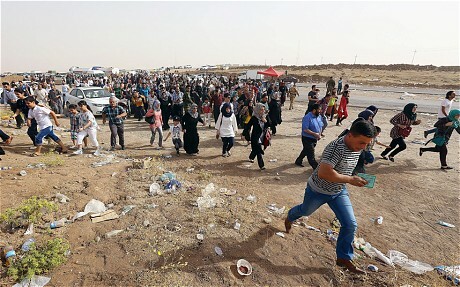 To further complicate the situation the semi-autonomous Kurdish region seized the city of Kirkuk, which it considers its ancestral capitol. Those troops however are reportedly reading for a counter-attack on the ISIL forces absent any presence of regular Iraqi units. 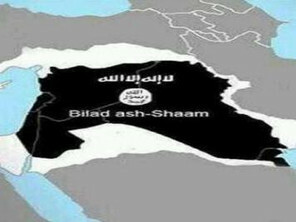 The loss of all of these areas is a disaster to a unified Iraq and shows the incredible short-sightedness of the Bush administration to overthrow Saddam and leave a power vacuum in his place after disbanding the Iraqi military, police and civil service, the only institutions that had kept Iraq together. If Maliki has any sense he will welcome moderate Iraqi Sunni nationalists back and actually give them the autonomy within Iraq that they were promised while the U.S. was still there, a policy that now Vice President Joseph Biden articulated as early as 2007. A policy that unfortunately was ignored by Maliki as he consolidated power as the U.S. withdrew from Iraq. However, it may be too late for this. 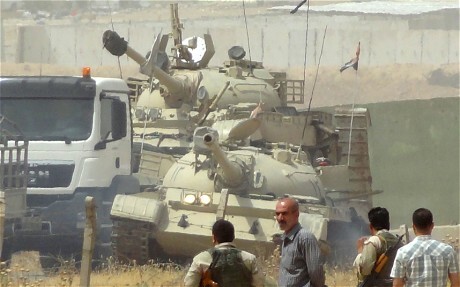 The more probable thing that Maliki will do is to rely on Shi’ite militias or even the Iranians to buttress his regime. 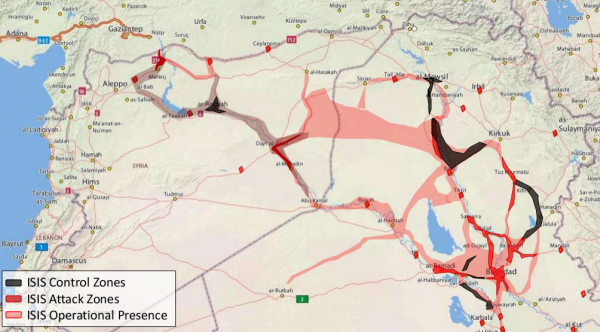 There are reports that Iranian Al Quds commandos may have been deployed to Iraq, something that may in the vacuum of outside support from other Arab states, the U.S, U.N. Or the international community widen the conflict significantly. This will likely lead to a bloody stalemate and civil war, similar to what has been happening in Syria, that could last for years throwing the entire region into chaos. In effect the ISIL forces are creating that Sunni dominated and quite possibly radicalized Wahabi state that Lawrence warned of in 1919. This could well be the end of the duplicitous and disastrous Sykes-Picot agreement which divided the Middle East irrespective of into its current form. Those who implemented that agreement sowed the wind, and now the region and the world are reaping the whirlwind. If the politicians, diplomats, businessmen and bankers or the West fail to comprehend this we will never understand or successfully deal with the Arabs of Syria and Mesopotamia. This is not going to get better anytime soon and poses a danger to the region and also the world economy as oil prices are already going up as the oil markets anticipate losing access to Iraq’s oil reserves. In a sense what happens in Iraq will likely make the situation in Syria look like child’s play and will have far more long lasting effects, not only for the region, but the world. Religious freedom is a central tenant of the Bill of Rights and has been a central facet of American life since our inception as a country, in fact pre-dating our founding in some of the original 13 colonies most notably Rhode Island and Pennsylvania. Now before anyone gets the idea that I am about to write something in favor of limiting the freedom to worship or for that matter any limitation on religious practices I am not in fact I am a stalwart supporter of religion in the Public Square and not just mine. You see I am a bit of a purest about this at least most of the time and my view is as long as the practice is not hurting anyone who cares. Some might take me to task for that as a Christian, but my point is not to argue for the Christian faith in this article but rather point out some of the inconsistencies of those of various faiths who while proclaiming their defense of this fundamental right of all American citizens who seek to limit the practice of others that they find disagreeable or even repugnant. What I will do in this essay is to do what I did back in my seminary days, where fellow students asked me why I hadn’t gone to Law School instead of seminary, which mind you was not a complement and actually play the “Devil’s advocate” in the matter of the free exercise of religion as it currently exists in the United States. You see my gentle readers it is my view that while many individuals and religious organizations loudly proclaim their defense of the right to free exercise it is more their free exercise rights that they are defending than the rights of others. In fact many that proclaim this the loudest are also those that would seek to limit the religious rights of others using the laws of the Federal Government and the various States and Commonwealths that make up the Untied States to do so. Since law in the United States is based on legal precedence everything that goes to court on matters of religious liberty as well as the actions of various legislatures matters, precedent matters and once precedent has been established it is very hard to change. Thus it is a matter of importance to all that no one acts hastily and emotionally on any issue that I might bring up since each decision sets a precedent and can effect decisions in entirely unrelated matters. Our First Amendment Rights are marvels which are envied by the citizens of most of the rest of the world and why shouldn’t they be? In many nations simply being born as a member of a minority religion is enough to ensure that you will never have full legal rights and may even face persecution and death at the hands of those in power, Sudan anyone? Kosovo? Saudi Arabia? Iran? Indonesia? These rights have provided the opportunity for churches that were suppressed on the European continent and elsewhere to thrive free of government persecution, take Baptists for instance. In the early 1600’s the first Baptists, English Baptists were persecuted, imprisoned and even killed for their beliefs by the English Crown in particular by King James who despite authorizing the Bible given his name and loved by many Baptists as the “only” valid English translation was a notorious homosexual, not that there is anything wrong with that, hated those early Baptists and persecuted them throughout the land. On the continent itself the Anabaptists and Mennonites as well as others referred to as “enthusiasts,” obviously forerunners of the Pentecostal movements of the 20th Century were brutally suppressed in many European lands. The Jews were persecuted often brutally almost everywhere except surprisingly in places like the Ottoman Empire where in places like Baghdad they composed a rather sizable part of the population and were quite prominent in the Empire. Of course Catholics were heavily persecuted in England and could not hold public office for many years following the English Reformation. In fact there were hundreds of Catholics martyred for simply practicing their religion in private, simply celebrating Mass could get them a death sentence. 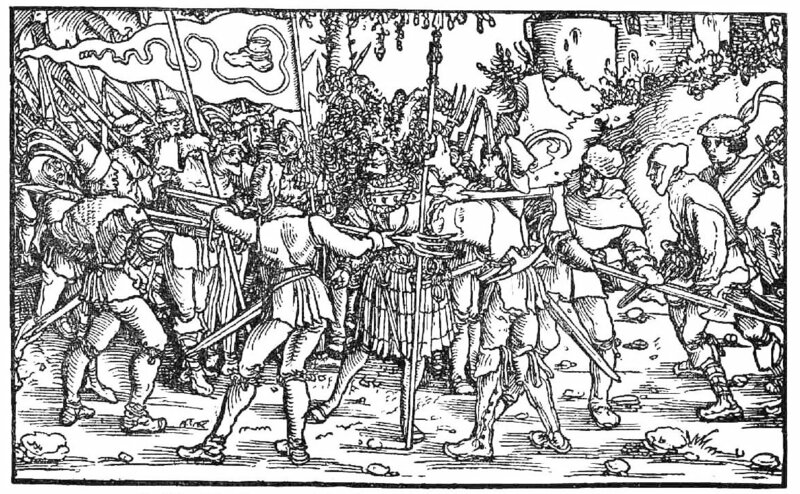 Then there were the Huguenots in France, they were French Protestants who had gained a great deal of influence and power that were brutally suppressed and many killed by the French Crown and the Catholic Church. 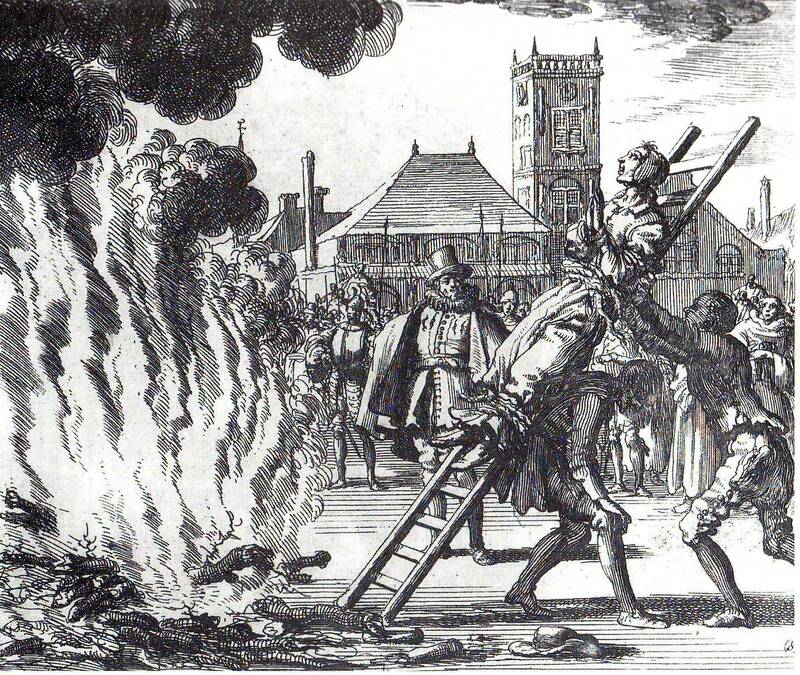 The Lutherans were not big fans of other religions in Germany and worked with their Archrival Roman Catholics to kill off the Anabaptists and the Enthusiasts. Spain was a great place to be anything but Roman Catholic but I jest, even some Roman Catholics now canonized as Saints were brought before the show called the Inquisition, Protestants, Jews, Moslems, none had a good time in Spain and Spain was equally repressive of native religions in the lands that it colonized in the “New World.” The Russian Empire was known for its toleration of Catholics, Protestants and Jews especially in the equal treatment given to them in various Progroms conducted by the government and the Orthodox Church. The Ottoman Empire had a limited amount of religious toleration; one cannot call it liberty and persecuted anyone equally that threatened the Caliphate or that they thought were heretical including the Arab tribes of the Arabian Peninsula that practiced something called Wahabi Islam. Of course one can go around the world to see other stirring examples of religious toleration and expression. Then along came the United States where our forefathers said to each other “gee wouldn’t it be nice if we could all just get along” or something like that and enjoined that right in our Bill of Rights right up there in the number one spot along with freedom of speech, assembly and the press. Well it seems that we have a few contradictions in the applications of these rights in our history and sometimes the more religious people have had a negative influence in this notwithstanding all of the good things that many have done as religious individuals, particularly Christians and that churches have done in promoting human rights and the civil rights of all in our country. While Christians were in the forefront of the Abolitionist movement whole denominations split on the issue of Slavery including the Southern Baptists, the Methodists and the Presbyterians. Curiously neither the Episcopalians nor the Catholics split over the issues although the war found them heavily engaged on both sides of the conflict. After the war many American Christians worked for the rights of workers, the abolition of child labor and even something that I oppose, Prohibition. Notwithstanding the unbiblical and inhuman temperance movement, at least some Christians and Churches advocated for the full civil rights of African Americans though few spoke up for rights of the Native Americans. Chinese immigrants to California were frequently mistreated and worked for almost nothing on the most demanding jobs like building the trans-continental railroad, mining gold and building stone walls for ranchers. 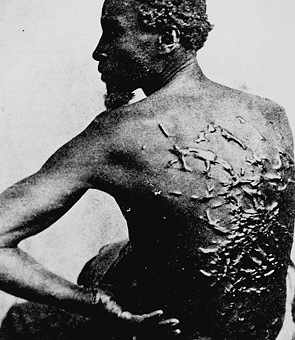 While enshrining the right to the free exercise of religion the Founding Fathers kind of ignored the human rights of a whole class of people, African American slaves and allowed the practice of slavery every allowing Blacks to be counted as 3/5ths of a person, which 3/5ths I don’t know but nonetheless only 60% of a full human being. We also did wonderful things to Native Americans driving them off of their lands, hunting them down and confining them to reservations all while ignoring the treaties that we made with the various Indian Nations, try that with a European Country and see what happens. Of course if we believe the “history” promoted by some on the Religious Right we have to believe that the vast majority of the people perpetuating these acts were solid Bible Believing Christians, but then how do we reconcile these crimes against humanity, even crimes against fellow Christians with the Christian faith? 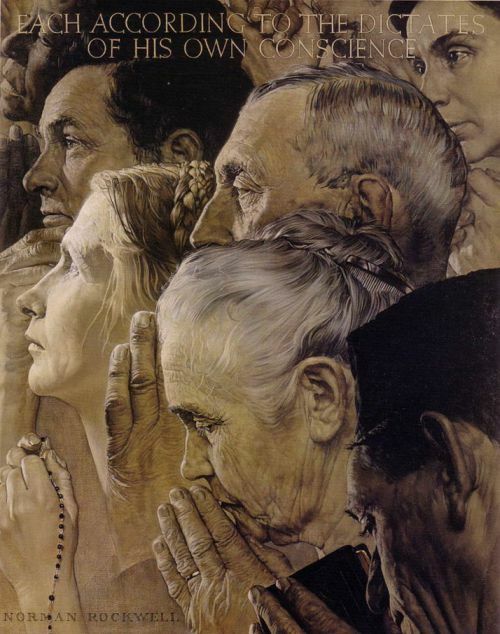 In fact nearly every ethnic group that immigrated to the United States has experienced some form of discrimination, often religious from the good citizens of this land. It turns out that throughout history we have had some problems in the matter of religious liberty and toleration, especially of those whose customs, language, culture and religion are different than our own. My goodness my own family owned slaves and the family patriarch who fought as a Confederate officer in the American Civil War and after the defeat of the Confederacy refused to sign the loyalty oath, which good honorable men like Robert E Lee did and lost the family lands to the Federal Government. But the crux of all of this comes down to religious liberty which as Americans we hold dear, at least our own religious liberty though I cannot be sure about the extension of this right to others that we disagree with in belief, practice or even politics. 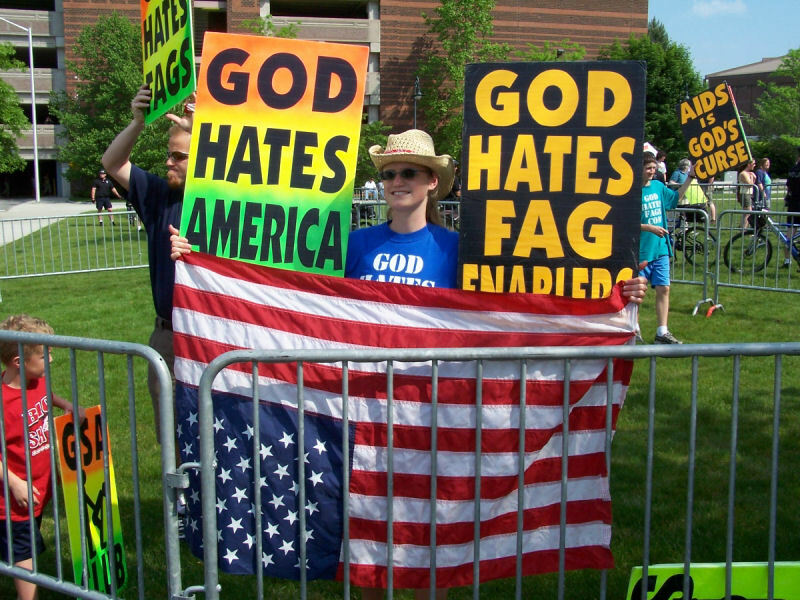 Now everyone is for religious liberty in the Public Square until a loathsome man like Fred Phelps and his family owned and operated “Westboro Baptist Church” shows up to protest and hurl vile epithets at those grieving the loss of family members killed in war, taunting these people in the most abhorrent of ways. However, as grievous as these people are they do this under the right to the free exercise of religion. Fundamentalist Moslems have as a stated goal of instating Sharia Law in this land, at least for Moslems. This they proclaim under the banner of religious liberty, however the imposition of Sharia Law on Moslems in the name of their religion also takes away their civil rights under the Constitution and the various laws of the Federal Government of the States that make up our fair land. The Roman Catholic Church at the direction of the Vatican has attempted rather successfully until a recent Supreme Court ruling to shield Bishops that were complicit in personnel moves and cover ups regarding Priests accused or convicted of sexual misconduct and the sexual abuse of minors from criminal prosecution and civil suits under the guise of diplomatic immunity as the Vatican is a nation state. Now I ask you dear reader could any other religious organization shield its clergy from the laws of the land that any other citizen would be subject too? Not on your or my life, but the Vatican has blatantly done so and since we all value religious liberty we have as a nation turned a blind eye to this until now. What about those of various beliefs and practices that use television, radio and the internet to espouse hatred and violence in the name of their religious beliefs and under the banner of religious liberty? What about the question of the Metropolitan Community Church, a predominantly Homosexual Christian church wants to see the legalization of Gay Marriage as well as the right for homosexuals to serve openly in the Military. The part about marriage is particularly fraught with peril because both the Church and the State have interests in marriage. For many marriage is primarily a religious act with civil overtones, in fact ministers of all denominations are licensed by the state to perform marriages on behalf of the State becoming in effect de-facto officers of the courts and at the same time most states deny homosexual couples the right to marry, regardless of one’s position on the legitimacy of such unions who could say that it is right for the states to approve and license the clergy of almost every religious tradition to conduct weddings that have the full civil effect, including tax breaks for all but a certain group? We have this enshrined in our culture but would deny it to the Metropolitan Community Church to perform weddings for its members. What if someone said that any other minister could not marry members of their own church under their church laws, ordinances and beliefs? There would be a public outcry, but not for the Metropolitan Community Church or other denominations that sanction Gay marriage. What about adherents of Wicca and other Earth based religions or Native American religions? Some of their practices would not be welcomed by those of many Christian denominations as well as secularists and atheists but if they are not hurting anyone else why should others object? Likewise why should people object if a religious symbol is displayed on private property or on state property where it has been displayed for decades or longer? Is it hurting anyone? Not really but hurt feelings and being offended count as much as real injury to the litigious and as such there have been long, expensive and divisive court proceedings that have served little purpose. Now am I in favor of the government using such symbols to advance the rights of a given religion? Absolutely not, but there are times where religious symbols and American culture, particularly that which seeks to honor veterans from previous wars is not about the advancement of any religion but simply a memorial with intent of promoting a religious cause. Likewise there are those that would attempt to limit the free speech rights and religious rights of Christians and others that protest the practice of abortion using civil disobedience to do so, some in polite and well mannered demonstrations but others in pretty unseemly manners. At the same time there are Christians who call themselves “pro-life” who bless and baptize practices condemned by the same Church Fathers and Biblical writers who they uses to support the rights of the unborn. They support the death penalty despite evidence that in many states that the practice is abused and sentences often wrong. Many advocate for harsh treatment of aliens and exhibit a xenophobic attitude towards some immigrant groups, especially those that are not Christian. Then there is a now popular belief that the economic Social Darwinism of unfettered Capitalism is not only Biblical but God’s best ordained economic system while treating the poor and the elderly with distain and treat their political opponents as agents of the Devil rather than people that God might actually care about. Local governments and even home owners associations have acted to quash home churches and Bible studies, acted to zone land so that the construction of religious buildings, edifices or displays is illegal all of which have been protested and fought in the courts by the groups involved particularly Evangelical Christians of various denominations. Even churches that neighbors have deemed to be too loud in their expression of worship have been penalized by local governments and courts. So as you can see my dear friends the subject of religious liberty and the freedom to practice our religions is one that is not as clear cut as we would like to admit. The question, to play the Devil’s advocate here is “Should we limit the rights to the free exercise of religion?” If we do so where do we draw the line? If we say everything goes does this mean for everyone or just us? Could it be that in the enshrining of this right that the Founders actually meant the expression of rational and enlightened religion and not religious expression that limits the rights of other groups or supports the abolition of others Constitutional Rights? You see that I think that our religious liberty is something to be cherished but I can see times and places where there would be a need for the community or state to limit such expression, not to take it away but to ensure that such expression is not used as a weapon against others as religious beliefs have been used in the past and present by people and governments around the world. You see the lawyer that dwells deep within my heart that my fellow seminarians saw could argue the point for any position in this debate, which I guess kind of makes me a bit of a prostitute but still there are valid points to be made on all sides of this issue and to the extenuating civil, social and even economic and national security concerns that the absolute right to the freedom of religious expression impacts. It seems that the waters get pretty muddy here my concern is that those on various sides of this issue are more about promoting their religion if they have one and do not really care about the religious rights of others while the devoted secularists would seek to expunge religion from the public square. As I said at the beginning of this essay the issue is about legal precedence and sometimes the unintended consequences of decisions reached hastily when those on the various sides of an issue take it to court. Muslim terrorist groups they use some tenants of Islam, mostly from the Wahabi school that emerged on the Arabian Peninsula in the late 1700s to justify what they do. Hezbollah and the Iranian Revolutionary Guard use the Islam taught by the school of the Ayatollah to do the same. However that being said there are a sizable number of Muslims worldwide that oppose the terrorists and their brands of Islam but still can be offended and driven to the other side by Americans doing just what pastor Jones got started. The radicals take this and use it as propaganda against us. The fact is that it is all about using propaganda effectively and not giving the terrorists the grist they need to use against us. The terrorist or the insurgent has no need to tell the truth and usually will not and will twist any “truth” to his own end. This is true in every revolutionary war, which is what all of these groups are waging. They are fighting to turn all of Islam and anyone else they can against us. This is the case since the beginning of time and not limited to Muslims. We as Americans have been pretty lousy at this except when we were the revolutionaries. It is a fact, not just with the Muslims but all revolutionaries that since they are on the weak side of the military equation that they use propaganda, especially what any of our people do to radicalize people on the fence against us. Jones and others played into their hands and by doing so jeopardize the mission and endanger our troops. The fact is that we neither have the resources or people to allow this to become a war against all of Islam. Thus we have to exploit natural divisions and cultural divides in the Moslem world to isolate and neutralize the radicals of Al Qaeda, Hamas, the Taliban, Hezbollah and the Iranian Revolutionary Guard. It may seem on the surface to be politically correct appeasement but a true strategic purpose is served. The counter-insurgent cannot do what the insurgent can as they will lose the propaganda war and with it the broader war. We are fighting a world-wide revolutionary war against Moslem fundamentalist extremists that want us to make it a war against all of Islam. If that were to be the case we would have to go to a total war footing, ignore our own economy renew the draft and prepare for a war that in the long run we cannot win and will leave us as broken as Germany after WWII. The problem with Islam as that for the most part much of Islam especially in the Middle East still lives in the 14th century with fancy technology. They did not have the Renaissance, Reformation or the enlightenment thus the appeal of the fundamentalist sects and radical Islam. That makes our job hard and that of Bin Laden easy as their world-view promotes a black and white understanding of the world which makes recruitment of youthful idealists easy especially when the conflict is framed as against “Crusaders” or “Imperialists” opposed to Islam. The war that we are engaged in is not conventional and we do not have a good record in recent times of fighting this kind of war. We lost in Vietnam because we ignored this. We won all the battles and lost the war. Despite what some pundits believe this is not like WWII and no new incarnation of George Patton will win it. As I said we are engaged in a revolutionary war which is different than other types of war. In revolutionary wars the revolutionary no matter what his cause is able to use propaganda to influence opinion, usually of people that they are trying to bring to their side. Our founders were very good in portraying the British as violent and brutal occupiers. We used British excess especially in Boston and in the South against them very well. The Jihadists are promoting a revolutionary cause, that cause being the overthrow of established governments in the Middle East and bringing about a radical and fundamental brand of Islamic rule. This happened in Iran and after 30 years the young people are beginning to revolt against the Ayatollahs. It is also revolutionary because they are actively promoting the overthrow of established states and have a goal of establishing their brand of Islam over the entire world. The use revolutionary techniques and strategies used successfully by other revolutionaries attempting to control the populations where they operate through both terror and by discrediting unpopular or corrupt governments. One can see how this is demonstrated in history in such disparate groups as the Israeli Irgun fighters who used terrorist tactics from 1931 until the founding of the state of Israel in 1948 against the British occupiers, the Irish Republican Army. This is even part of the American experience in the post Civil War South of the Reconstruction era. Then many Southern whites organized into guerrilla terrorist units such as the Klan in Tennessee, the Red Shirts in South Carolina, the Knights of the White Camellia in Louisiana, the Young Men’s Democratic Club in Florida in order to attack anyone associated with Reconstruction. Their targets included newly free blacks, carpetbaggers, Scalawags, teachers from the North, Freedmen Bureau officials, northern troops, and Republicans. If you read their writings or even query their current day descendants you will find that none believed that they were criminals and their actions, while unacceptable to many were justified. One does not have to agree that the terrorists cause is right to acknowledge that terrorists believe this to be true. Thus in fighting the terrorist organizations one has to employ a wide variety of tactics to protect the populations targeted by terrorists to include police, limited military involvement, the use of propaganda, and “soft” methods to provide aid to these populations and isolate the terrorists from them. 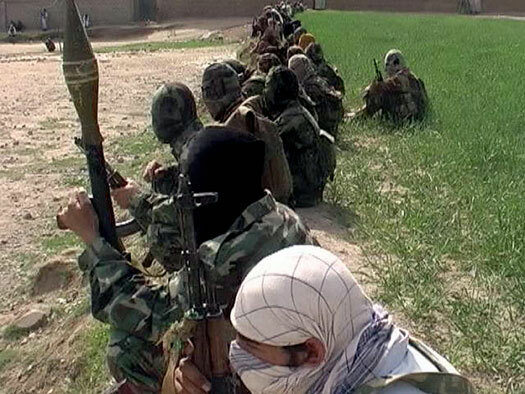 The current batch of Jihadists are actually fairly disparate and not necessarily allies as we found out in Iraq where Al Qaeda and the foreign fighters turned the population of Al Anbar Province against them and brought that Sunni population to our side. They also have sometimes conflicting goals or limit their cause to local areas. The Sunni and the Shi’a have a hard time working together so while this is a global revolution it is not monolithic. Thus if we are smart we can exploit natural divisions in these groups. To do so we have to play smart in how we fight them recognizing that the “soft” approach often is better as the French found out too late in Vietnam but did well with in Algeria. See books by David Galula “Counterinsurgency in Algeria 1956-1954” “Counterinsurgency Warfare”, Roger Trinquier’s “Modern Warfare” as well as the book by Alister Horne “A Savage War of Peace” all are excellent reads. Bernard Fall’s book “Street Without Joy” is a good study of how this happened in French Indochina. The US Counterinsurgency Manual is available online or in bookstores as is “Learning to Eat Soup with a Knife” by John Nagl, a major writer of US Counterinsurgency doctrine. In a world-wide insurgency even actions which seem logical to Americans at home can be detrimental to US Forces and political goals in Afghanistan, Pakistan, and Iraq and throughout the Muslim world. I’m not a fan of the Mosque near the World Trade Center even though it is the equivalent of 6 normal city blocks away and not visible from the site. Many Americans if not an outright majority oppose this building project yet the builders don’t seem to understand the raw wounds that the project has opened for many Americans. I’m sure for them that much of it is a business, they are developers in New York City and the land was available. Yet the project can quite rightly be seen as insensitive because of what it means to the victims. At the same time politicians and protesters by naming it the “Ground Zero Mosque” has raised its propaganda value exponentially, that is why Hamas and Hezbollah have also raised the ante in their talk about it. Thus what was an annoyance and hurtful to the victims has become a propaganda victory for the terrorists. In a sense we have let our collective outrage play into the terrorist’s hands. When he pastor of a small church in Florida threatened to burn a large number of copies of the Koran he helped ignite a firestorm of protest in many parts of the Islamic world especially in the epicenter of our current struggle in Afghanistan and neighboring Pakistan. We are at war with the warlike highly militant strains of Islam and trying to keep the more Western leaning peaceful variants on the sidelines or enlist them to our side. This is a hard path for our leaders to walk as President Bush found out and President Obama is finding out is that most Americans don’t see it that way. To many Americans all of Islam is the enemy and nothing can change that and the heated passion of our population often plays into the hands of our enemies. Thus both Presidents’ comments about Islam have usually fallen on deaf ears and both have been excoriated for straddling this fence. Anyway as you gather I have spent a considerable amount of time studying this type of warfare. I admit that this is pretty unusual for a chaplain, but I also have a Masters degree in Military History as well as the Marine Corps Command and Staff College. When I was in Iraq I knew more than many Marine and Army officers about fighting this type of war. Kind of weird I know but what can I say? One of the most frustrating aspects for military and police personnel fighting insurgencies that employ terrorist tactics is that quite often superior forces cannot finish off the insurgents. Galula provides an answer to this question. This is a lesson that we have not always learned as incidents such as the Abu Ghraib torture and most recently a series of targeted killings of Afghan civilians by a squad of Army Soldiers in Afghanistan in which they allegedly planned the killings in advance and kept body parts of their victims. Unfortunately atrocities like this as was demonstrated at Mei Lai in Vietnam do little to the enemy and everything to turn the populations that we are trying to protect and world opinion against us. It also provides grist for the terrorist propaganda purposes and aids him in recruiting more insurgents to his cause. 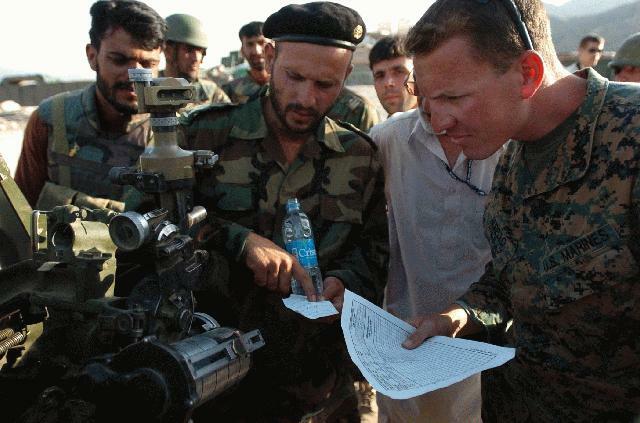 Galula recognized the quandary that commanders of police and military units involved in counterinsurgency operations face when dealing with populations where terrorists operate. Galula was a realist about this and noted “If we distinguish between people and rebels, then we have a chance. One cannot catch a ﬂy with vinegar. My rules are this: outwardly treat every civilian as a friend; inwardly you must consider him as a rebel ally until you have positive proof to the contrary.” This may seem contradictory but the concept was used by Ronald Reagan during the Cold War using the term “trust but verify” in relationship to the Soviet Union and arms control. This is exactly what has happened in Afghanistan and why we have such difficulty in fighting the insurgency. One of the most common tactics that the United States has attempted in attacking the insurgents is the strategy of decapitation. In this the U.S. has attempted to kill the leaders at the top echelons of the insurgency with limited success. Even when we kill off a senior Al Qaida or Taliban leader others rapidly take their place with little affect in their operations against us. Galula recognized the fallacy of this approach in Algeria when the French government succeeded in capturing five top leaders of the Algerian rebellion. “Then, ﬁve top leaders of the rebellion, including Ben Bella, had been neatly caught during a ﬂight from Rabat to Tunis. Their capture, I admit, had little eﬀect on the direction of the rebellion, because the movement was too loosely organized to crumble under such a blow.” The lesson here is that should we ever succeed in capturing or killing Osama Bin Laden or Mullah Omar that this will not lead to victory unless we are able to protect the population of Afghanistan. Religious Freedom…Do We Really Want or Believe in It? What about adherents of Wicca and other Earth based religions or Native American religions? Some of their practices would not be welcomed by those of many Christian denominations as well as secularists and atheists but if they are not hurting anyone else why should others object? Likewise why should people object if a religious symbol is displayed on private property or on state property where it has been displayed for decades or longer? Is it hurting anyone? Not really but hurt feelings and being offended count as much as real injury to the litigious and as such there have been long, expensive and divisive court proceedings that have served little purpose. Now am I in favor of the government using such symbols to advance the rights of a given religion, absolutely not, but there are times where religious symbols and American culture, particularly that which seeks to honor veterans from previous wars is not about the advancement of any religion but simply a memorial with intent of promoting a religious cause. Likewise there are those that would attempt to limit the free speech rights and religious rights of Christians and others that protest the practice of abortion using civil disobedience to do so, some in polite and well mannered demonstrations but others in pretty unseemly manners. Many Christians including leaders and members of my own denomination have gone to jail over their opposition to abortion, been brutalized by police for their expression of faith and their opposition to the practice of abortion which they believe to be not only against their beliefs but against their belief in the fundamental rights to life of the unborn. Local governments have acted to quash home churches and Bible studies, acted to zone land so that the construction of religious buildings, edifices or displays is illegal all of which have been protested and fought in the courts by the groups involved particularly Evangelical Christians of various denominations. Even churches that neighbors have deemed to be too loud in their expression of worship have been penalized by local governments and courts. Many Christians had little problem with the suppression of the Branch Davidians at their Waco compound after all David Koresh was a “dangerous” cult leader nor do many have a problem in limiting the rights of Moslems that happen to be American citizens and protest if a Moslem clergyman becomes a military Chaplain or if Moslems want to build a Mosque in their neighborhood. A big controversy is the plan to build a Mosque on or near the site of the World Trade Center which was destroyed by Islamic terrorists and applauded by many Moslems around the world to include some in the United States. While I have no problem in general with the religious groups including Moslems to be able to build a religious facility wherever they want the construction of one on or near this site would seem to be less of a religious liberty issue but more of a propaganda victory for the terrorists groups that brought down the Twin Towers, a mosque on the site of the hated symbol of American economic power and capitalism would be a propaganda victory for declared enemies of the United States. You see the lawyer that dwells deep within my heart that my fellow seminarians saw could argue the point for any position in this debate, which I guess kind of makes me a bit of a prostitute but still there are valid points to be made on all sides of this issue and to the extenuating civil, social and even economic and national security concerns that the absolute right to the freedom of religious expression impacts. It seems that the waters get pretty muddy here and I am curious to what others think. My concern is that those on various sides of this issue are more about promoting their religion if they have one and not really caring about the religious rights of others and that the devoted secularists would seek to remove religion from the Public Square in its totality. As I said at the beginning of this essay the issue is about legal precedence and sometimes the unintended consequences of decisions reached hastily when those on the various sides of an issue take it to court. I’m glad to hear from all sides of the issue even from those that disagree with anything that I have said in this little essay, just don’t get too nasty or personal if you are criticizing me, unless you know me well and would join me for a beer later and remember I am playing the Devil’s advocate here and not espousing any particular viewpoint, I only want to see people get spun up so I can have a little fun so feel free to tell me what you think. Tell me whose rights you want to protect or take away, this should be fun.